So, I’m at the local supermarket this morning, and a burnt orange Lamborghini muscles into the spot beside me. The hydraulic doors rise slowly. From the passenger side, a gorgeous, long-legged, bronzed blonde, approaching the big four-oh but coping extremely well, gracefully emerges. On the opposite side, a fat cat who has at least twenty years on her struggles to get out from behind the wheel. His pot belly severely impedes his progress, but, despite the grunting and wheezing, he somehow manages to achieve–ahem–an erect posture without losing the cigar clamped between his teeth. When the doors have finished their slow descent, he presses the remote, which offers a self-satisfied chirp. Glancing over the top of the car, he gives me a brusque nod, as though I were considering driving away with the car rather than his bird. He waddles around to the boot where he slides his arm around his trophy’s waist. They’re quite the spectacle walking through the lot, her in designer dress, bag, and six-inch platforms, him in white polyester slacks, a blue diamond-patterned Banlon sweater, driver’s cap, and jewel encrusted Dolce Gabbana wrap-arounds. She’s a stunner, but he looks absolutely ridiculous. The thing is, who’s going to tell him with all the money he’s got? Moreover, he’s obviously not the type to listen. 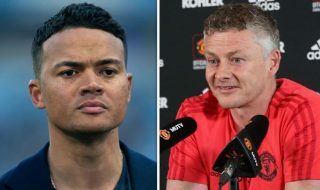 Which brings us to a certain type of Manchester United fan, although anyone with half an ounce of sense would hope not necessarily the management. Ever since Sir Alex Ferguson and David Gill took up gardening, the new man in charge, Ed Woodward, has been routinely claiming United are willing to splash the cash to sign new players. He’s done it so often, he might as well be driving through the village square in a cherry red Lamborghini with black and yellow striping, leaning on the horn like he’s the grand marshal of his own one-float parade. All that braggadocio has meant he’s had to overpay for virtually every player he’s signed, and was willing to for the ones he missed. Now, Eager Ed’s got his eyes on former Old Trafford starlet Paul Pogba, and there’s a large bloc of supporters urging him to buy whatever the cost. What’s the problem, they want to know? We’ve got the dosh. United is the biggest club in the world, with the most revenues, a slightly more than equal share in the biggest broadcasting contract on the planet, and, therefore, absolutely no worries with regard to Financial Fair Play. Well, the first problem is that other clubs know it–no surprise really, when you go shouting it from the mountaintops–and are happy to take advantage. Yes, yes, they’ll agree, that’s why Juventus is really sticking it to us, but we can show them! We’re bigger than they are. We can afford Pogba, and ten more like him! What these nouveau-riche blowhards don’t seem to understand is that the Old Lady isn’t asking €120 million, and for United to pony up Mino Raiola’s €25 million agent’s cut on top, because she’s eager to sell Pogba. She isn’t. She’s trying to get it through our collectively thick skulls that she wants to keep Pogba for as long as she possibly can. That might only be one more season, because there is actually another biggest club in the world. This one has a much larger slice of La Liga’s smaller TV rights pie, keeping it on a financial par with United, if not a level above. As well, theirs is a far better squad, offering not only the immediate chance to play in the Champions League, but to win it. What’s more, they’re coached by an incredibly intelligent Frenchman of Algerian heritage, follicly challenged, yes, but otherwise well equipped to drive circles around our Ed in the transfer market. 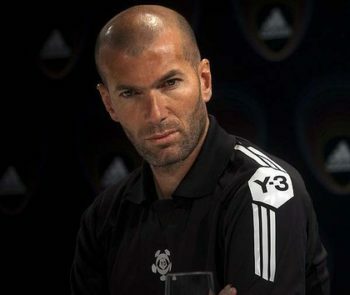 Zinedine Zidane wants his young countryman to come to Real Madrid because the one thing his European champions lack is a box-to-box midfielder abundantly blessed with both strength and skill. A player made in his own image. And he’ll toy with Ed in the media, like a cat toys with a mouse, even if it’s just to give the Scudetto holders reason to stick to their guns. 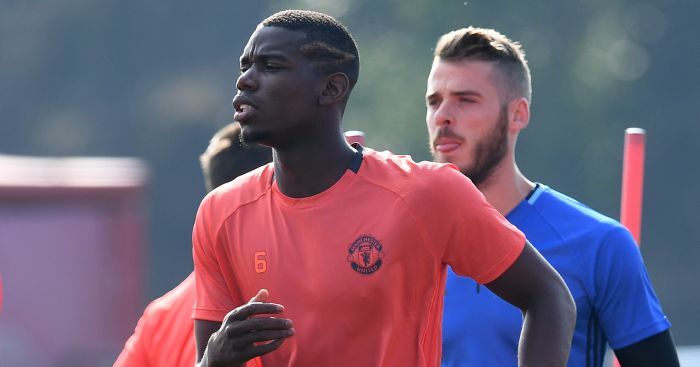 If that level of competition isn’t sufficient to give pause to United’s unbridled impulse shopping, both Paul Pogba and his agent have made it clear the Santiago Bernabeu is their ultimate destination. 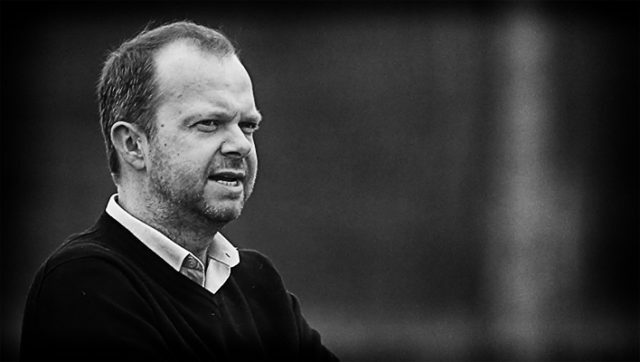 This is why I really hope Ed Woodward is a country music fan. More specifically, a Kenny Rogers groupie. Because you do have to know when to hold them, and when to fold them. Most importantly, however, you have to know when to walk away, and when to run. Right now, Ed needs to be ringing up die-hard United fan Usain Bolt, to see if the world-record holding sprinter is willing to lend him a decent pair of trainers. Sign Moussa Sissoko. Or Blaise Matuidi. Or even Chelsea’s Matić, if he’s forgiven Mourinho for treating him like one of Donald Trump’s wives. United have had good experiences with Nemanjas in the past. Even if the club signs no one, Morgan Schneiderlin has the defensive discipline his manager values, and a decent upside with the ball at his feet. None of them are Pogba, but neither is Pogba the type of player you purchase regardless the price. If a player is going to cost you €145 million before his wages are added, in an era where no other player realistically in the market even approaches a six-figure valuation, and you can at best hope to keep this player for five years, you’re talking about at least €35 million per year to rent him. When the time arrives to sell to Madrid, it’s also highly doubtful United will recover anything close to its full investment. 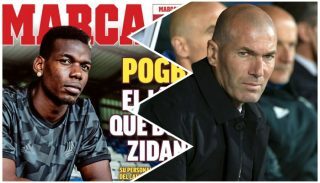 Zizou and Florentino Perez know Pogba is dying to wear Castilian white, and there isn’t anyone nearly as forceful as Sir Alex Ferguson to divide his loyalties, thereby giving United the necessary leverage to command the type of money they eventually extracted for Cristiano Ronaldo. This time, they’re going to have to accept whatever crumbs the Spaniards are willing to offer, or let Pogba play out his final year and walk away for nothing. 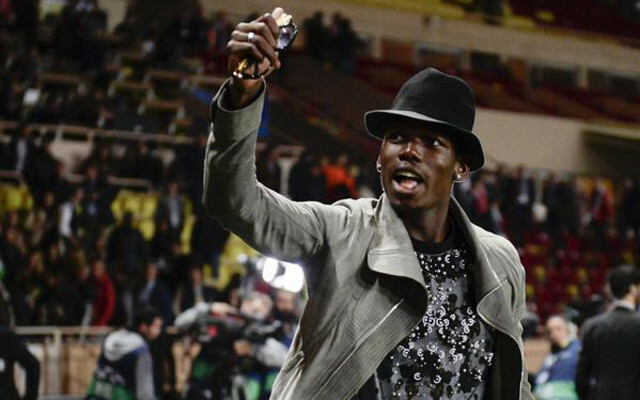 Pogba has the potential to be the second coming of Zidane, a consistent presence and game-changing force of nature. José Mourinho may even be more qualified than the original to unearth those qualities. It won’t be as straightforward as many think, though. Those qualities certainly weren’t evident at the Euros, and the player will be looking at Old Trafford as a stepping stone to better things. When anyone comes in the door with that attitude, it will be like pulling teeth to get total commitment from them. The bottom line is that Paul Pogba is not Cristiano Ronaldo, he’s not Lionel Messi, and his valuation should not be anywhere near either of theirs. So, if Juve isn’t willing to significantly budge on its terms, it is definitely time for Ed and Manchester United to not just walk, but run for the nearest exit. In fact, screw Kenny Rogers. The nearest exit isn’t enough by half. We need to be running to the hills.